Frameless shower door based in brooklyn new york. shower doors are available in different sizes and configurations, making your bathroom look beautiful. Custom made shower door . 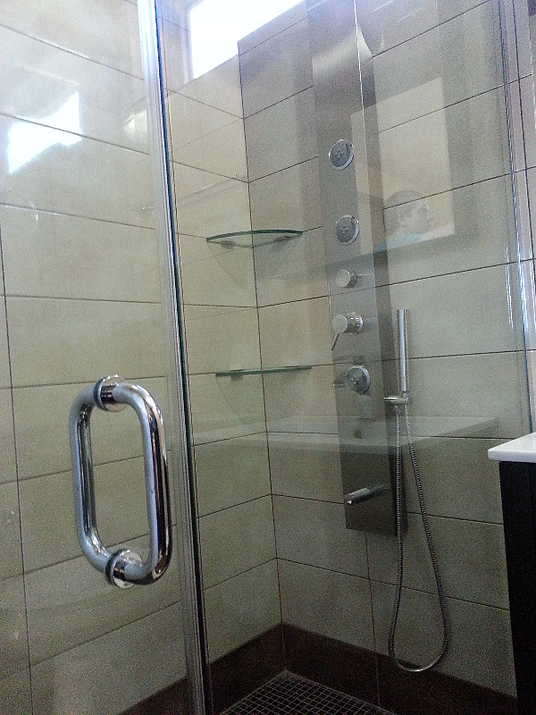 frameless shower doors. Designed, manufactured, shipped, or installed direct to you with all the support you can ever ask for. SHOWER DOORS NYC based in brooklyn NY, laminated glass is a type of safety glass that holds together when shattered. In the event of breaking, it is held in place by an interlayer. SHOWER DOOR nyc. is industry's leading manufacturer of custom Architectural and Decorative laminated safety glass, structural glass. In house laminating, water jetting, polishing, mitering, beveling, sandblasting,installation, painting lead to effective quality control and record- breaking turn-around times.